Does brand loyalty even matter? The upcoming generation of consoles, the Xbox One and PlayStation 4 specifically, feel a bit like an old school console war. The mud slinging, slight of hand, and jabs between Sony and Microsoft remind us of Nintendo and Sega from the Genesis and SNES era. But are fans sticking in the corner of their favorite console manufacturer? While this generation was "close" - the Xbox 360 made Microsoft a dominant force in the console world with almost 80 million units sold, and consistently outselling all other consoles monthly for almost three years in North America. The PlayStation 3? Worldwide Sony has pulled "ahead" and passed Microsoft in sales. But despite what the companies say, this upcoming generation should be a reset as the battle lines are drawn. Why? It has a lot to do with backwards compatibility and brand loyalty, or lack there of. In the 1990s, when a new system was released, it was almost never compatible with the previous system's games. Consumers picked up the new console and their old console immediately became "obsolete." With both the Xbox One and PlayStation 4 eschewing backwards compatibility, these consoles are in essence wiping out their own karma points. 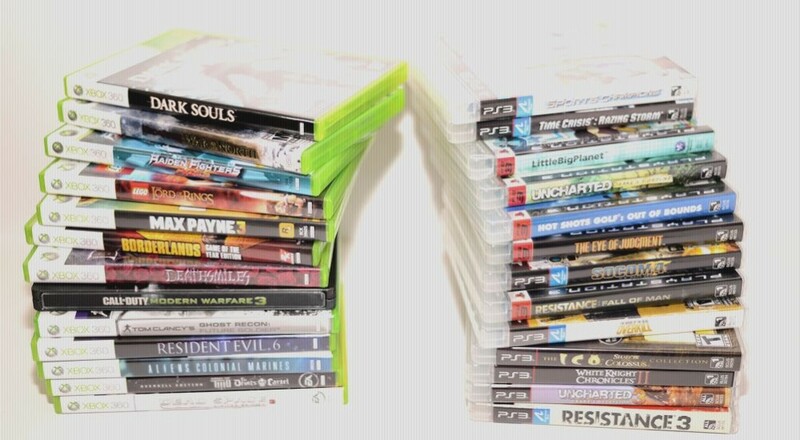 People spend thousands of dollars building their game collections on a system, bringing an attachment. There's an interesting side effect that occurs because of this: even though we have some brand loyalty, whatever console we choose we're starting at square one. This puts both console makers a huge disadvantage while at the same time gives them both a lot of potential. 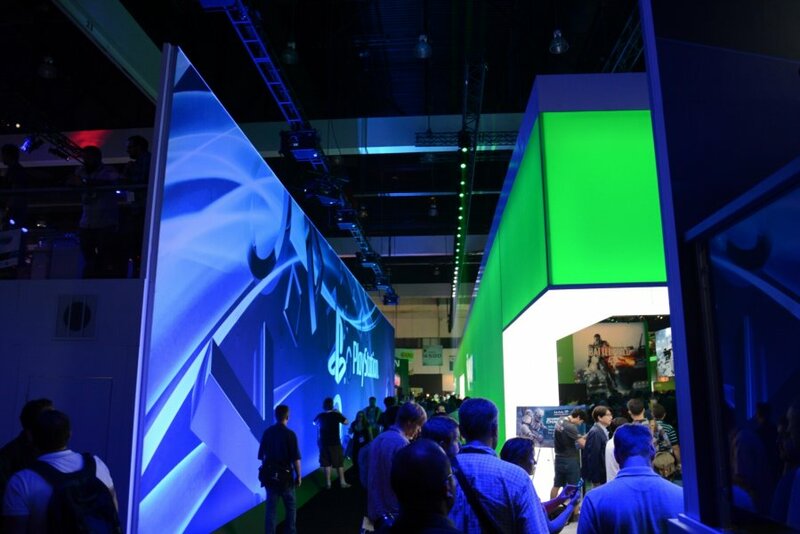 Sony and Microsoft need to not only reaffirm existing customers that their console brand is the one to stick with, but win new customers from a larger potential customer base. Brand loyalty is huge factor in marketing and product creation. The problem is, it's becoming something that's harder and harder to grasp. According to an article by Forbes Online published this past January, brand loyalty may be shrinking at a rapid pace. On the whole across all 34 markets brand loyalty checking in just under 40% as a determining factor in making a buying decision, but, that number dropped to just 25% in the US, a highly significant decrease in the number of American consumers who say brand loyalty is something that impacts their buying behavior. There are a lot of contributing factors here, but the biggest actually seems to be who are the primary purchasers and what exactly they are purchasing. While brand loyalty tends to be higher for electronic and entertainment equipment according to this Siena College paper by Megan Lodes, overall the Millennial age group (people born from the early 1980s on) seems to be much less brand loyal on a whole as previous generations are. I guess we tend to hold grudges or get distracted by shiny objects easier than our parents. Both companies had major mistakes this past generation putting doubts into consumers minds. For Microsoft, the quality of their hardware came into question with the "red ring" fiasco in the early years of the Xbox 360. For Sony, the quality of their network and security infrastructure came into question with regards to the hacking incident of the PlayStation Network in 2011. Broken things make us sad. With both of these things on consumers minds and the lack of the ability to bring our existing games collections with us to the new system, there's very little incentive for us to be loyal to any particular console. I won't argue that backwards compatibility itself is overrated (i.e., it's a phenomena that's relatively new, hasn't existed on many consoles, and fades rapidly once you hit year two, three and onward in the next-generation's life-cycle), but it does help ease with the transition to a new console. This was the case when the Xbox 360 and PlayStation 3 launched, as backwards compatibility was perceived as a big deal and helped existing Xbox and PS2 consumer transition into the new consoles. Consumers were comfortable with their brand of choice. But for the Xbox One and PlayStation 4 there's not even a discussion of it and everyone gets to start new. Perhaps the trump card is something that didn't exist in the console world before this generation. Online profiles. Your Xbox Live Gamertag or PlayStation Network ID is something a lot of gamers have built up over time, whether it's achievements, trophies, reputation, or gamerscore - many gamers have grown incredibly attached to their online persona. I think a lot of folks will have a hard time simply abandoning something they've curated over the years. In the end I think we're going to see one of the most level playing fields going into this generation of consoles. Both systems are likely to launch within weeks if not days of each other. Both systems have games from just about every major publisher, appear to have similar capabilities in terms of graphics and other bells and whistles. In all honesty, for the core gamer there's very few differences between the Xbox One and PlayStation 4 other than their handful of exclusive titles. So, when all is fair and equal, which do you choose? The familiar brand, or the other side? Page created in 0.9159 seconds.